A warning to the dieters, this collection of Snacks and Treats could be a test of your willpower! I will be pinning the links to this Pinboard - which should make it easier for you to choose which links to visit. If your link hasn't been pinned straight away, it just means I haven't caught up yet. Just link up using the Mr Linky boxes below. Your name and the name of the snack or treat in the first box and copy the url for your post about the dish into the second. PPS Don't forget that you can still add links to earlier Food on Fridays – that way the collection of great dishes by theme will keep on growing. Just leave a comment or drop me an email that you have linked up so that I will pin your link to the relevant board and the people following that board will see it. Thanks for the Food on Friday thread! Looking forward to finding some new sweet and savory treats. Carole, sometimes I think most of us like snacks and treats more than meals! Thank you so much for the snack party Carole :) This could be dangerous!!! I've posted a savory snack and a sweet Canadian treat. Thanks! I have NO willpower, so this theme is a dangerous one! Thank you for the linky, Carole! Hi Carole, I've added a few treats. Thanks for hosting this. It's a great idea! Can't wait to peruse and try out some new tasty treats! Thanks for hosting! Well my treat has oatmeal in it so it's a little bit healthy if you ignore all the sugar! Beets, swiss chard/silverbeet, mushrooms, turnips, radishes, carrots, salmon--you name it, I've got a snack using it. I had no idea how into vegetable-involved snacks I was until I started poking around. What a fun idea, Carole! The haystacks are easy, so little kids can make them! Oh boy, you're already up to 92!! This could be dangerous. Happy Friday! Thanks for hosting, and I hope you all like my spicy chex mix. I'll definitely be making some things from here for the 4th of July! Always love a foodie Friday! 'Tis an honor to be included. Thanks for hosting, Carole! Have a great weekend! Thanks for stopping by my blog, Carole and for the link! Great idea! Look forward to checking the other recipes out as well! Thanks again for another delicious Food On Friday! So many great recipes! Thanks Carole. I had to add my gluten-free 2 cents. I've popped on two recipes. Thanks Carole! Carole, love all the snack ideas! I posted one of my blog's most popular desserts and one of my personal favorites, too. There is so much variety in your Food Friday today! Treats indeed! Thanks for the mouthwatering linky!! What a great party idea! Can't wait to check out some of these other awesome recipes! Just linked up a couple of our quick, healthy and DELICIOUS Snack Bite faves! Thanks, Carole! Hey Carole! I linked up a couple of cheese spreads. thanks for hosting and have a great weekend! Looking forward to checking out lots of these ideas for the weekend! Thanks Carole! I added Slow Cooker Cinnamon Almonds! 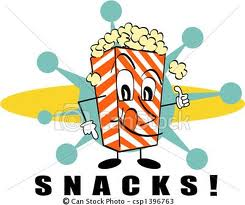 Thanks for the blog comment and letting me know about your snack on friday link up.im actually reviewing an entire book of classic snacks.i have more posts then just the one i linked up so i hope everyone checks out the other posts such as cheetos.sour cream and onion chips,goldfish crackers and oreo cookies. Just linked up with a chocolaty treat! thanks for hosting....Have a great day!! Thanks for hosting and inviting me! I just added my favorite snack recipe- homemade lavosh crackers. Hope everyone enjoy it! Wow Carole, so many snacks already shared by blogger friends. I'm not a fan of snacks but occasionally will make some. I added rose/lemon thyme soda syrup. I think I didn't put the name in, though... duh. Have a lot of snacks and treats on my blog, but I can share. I've been having fun looking at some of the ones posted already. Thank you for telling me about your link list. I love these. It is a great place to get a group of good ideas. Thanks so much Carole! Enjoy the weekend! Wow, love all the postings ;) Thanks again Carole for this forum!! Thanks for the invite and for hosting this party, Carole! Thanks for letting me know carole! Wow, what a collection of yummy treats! Thanks for including me Carole (Playin with my Food). This is quite an amazing collection. Glad to be here. What amazing treats! Thank you for hosting this! Thanks for the invite Carole! What a great idea and list of snacks. Wow! Lots of good stuff here! Thanks for inviting me! This is such a great selection of snacks! I cant wait to try some of these recipes. This is a really fun hop! Thanks for hosting! Lots of fun recipes to look at here! Thank you for hosting and inviting! I goofed on the first submission and only put my name.. Re-submitted correctly the second time, so I apologize for the double link. Some lovely recipes here! Yum! This list could lead to being a hero at your next pot luck or party! I linked up another one. Thanks for this wonderful Friday fun. Great job in bringing so many people and recipes together! Thanks for stopping by my site, and thank you for the invitation! Have a great weekend!